Y’all, I’m incredibly excited to let you know our final tally for donations SA Flavor made from our 2018 Fiesta Medal sales! We gave $36,500 to charities non-profits this year! I never imagined we would ever be able to give back to the community in such a big way. We donated $27,000 across more than 20 different charities and $9,500 to the Fiesta Commission non-profit through our medal sales at the Fiesta Store! SA Flavor is not like the other Fiesta Medal makers in town—in addition to making medals for businesses I have 21 SA Flavor creators who want to make an awesome Fiesta Medal but maybe don’t want to spend thousands of dollars to get it started. One of the reasons our SA Flavor Fiesta Medals are so hot is that I set up meetings where I really get to know the creators, understand their story and brainstorm on ways to make them a medal that is representative of them. Sometimes the medals are fun and lighthearted (like the Barrel of Monkeys) and others are deeply personal (like the Hand and Heart Milagro). But they all tell a piece of the story about who the creator is. Hanging with Tony and Amanda Infante at 2018’s Pin Pandemonium—I love my SA Flavor Fiesta Medal Creators!!! The SA Flavor Fiesta Medal creators get 100 medals at a great price that they can trade or give away during Fiesta. In return, they let me sell their medals on the SA Flavor site and around town. And the really cool part is that the creators get to choose a charity where I’ll make a donation of $1 for every single medal sold in their honor. No matter what price the medal is selling for, we always give $1 back to the community. I have always admired larger companies that practice corporate responsibility and give back to their communities. That’s what I wanted to do with SA Flavor, build a company where I am not able to make a living but one where everybody wins: our community, the medal creators and my employees. 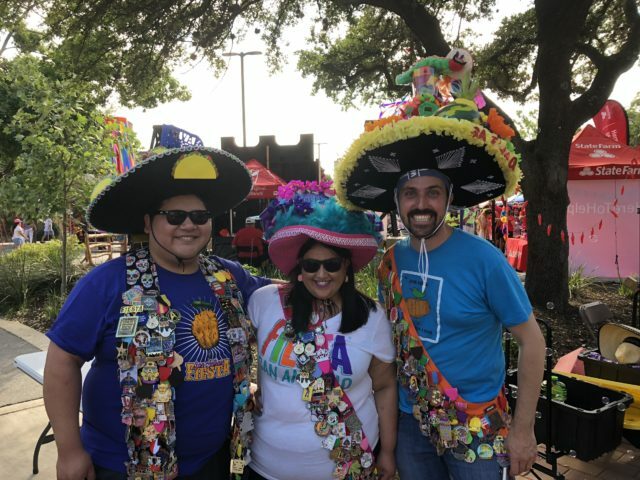 I help 21 SA Flavor creators in addition to local businesses create Fiesta Medals because I love the “Party with a Purpose” mission of Fiesta and I want to maximize our impact in the community. Giving back has been such a gratifying experience and it can really make a difference for folks. This year I took it a step further and rather than just sending a check I and the medal creators actually went out to these charities to hand deliver the checks and experience a little bit of what each of the organizations do on a day to day basis. One of the medals of 2018 was Clara-Nicole’s Ghost Tracks. And boy did she raise some money for CASA, Child Advocates San Antonio! Both the $1 from her medal and SA Flavor’s El Valiente went to CASA and we were able to raise a WHOPPING $6,220!!!! This was so awesome to visit an organization that does so much for our most vulnerable San Antonians. 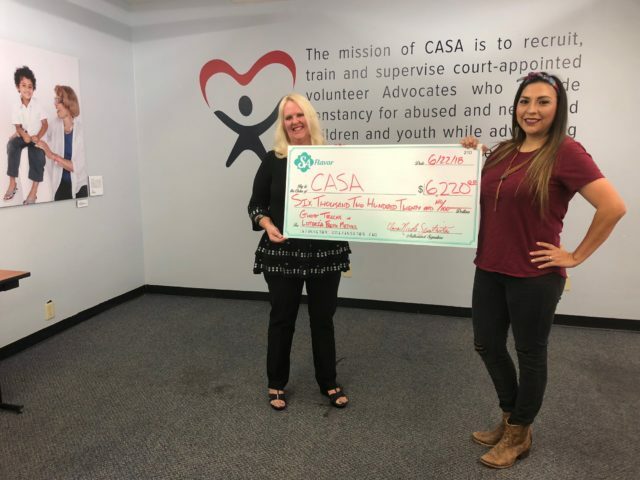 Clara-Nicole of She’s Crafty Too drops off a huge check to CASA! 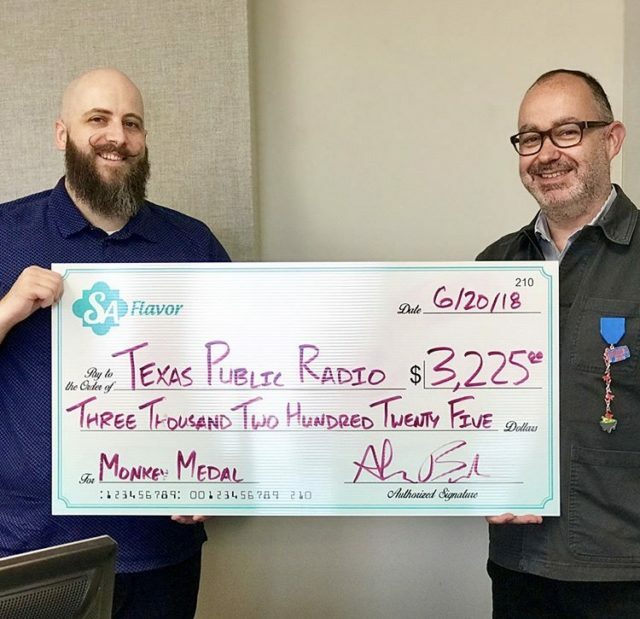 Everyone loved Alan Bush’s Barrel of Monkeys Fiesta Medal, and boy, we didn’t monkey around with the funds that were raised to help support Texas Public Radio! TPR was a huge help in informing Alan about community and cultural events when he moved to Texas from Missouri many years ago. And as a loyal listener, he wanted to do something to support journalism in our community. Alan’s medal raised $3,225 for TPR and he loved getting to connect with this organization. Alan Bush, local technologist, improv comedian and SA Flavor beer writer dropped off a check to TPR. Amanda Infante, creator of the “Don’t Be Self Conchas” medal, got to visit the children at SA Youth—an organization that helps students on the Westside—and deliver a check for $1,325 that her medal raised this past Fiesta season. I went with her to drop off the donation during their summer program and loved meeting the kids that this money would go towards helping them achieve academic success, develop their character and promote healthy lifestyles. It was powerful for Amanda and I to see how we went from idea to impact. 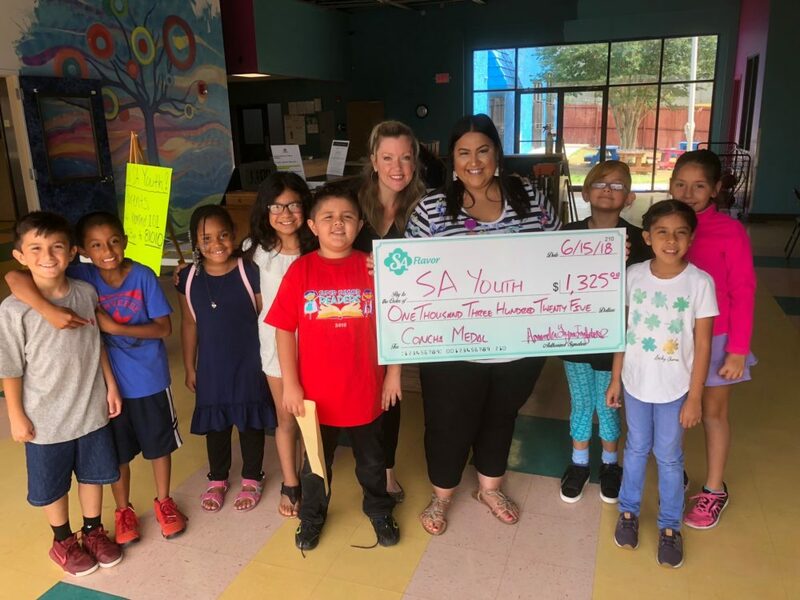 Amanda Infante delivering the $1,325 check to SA Youth! 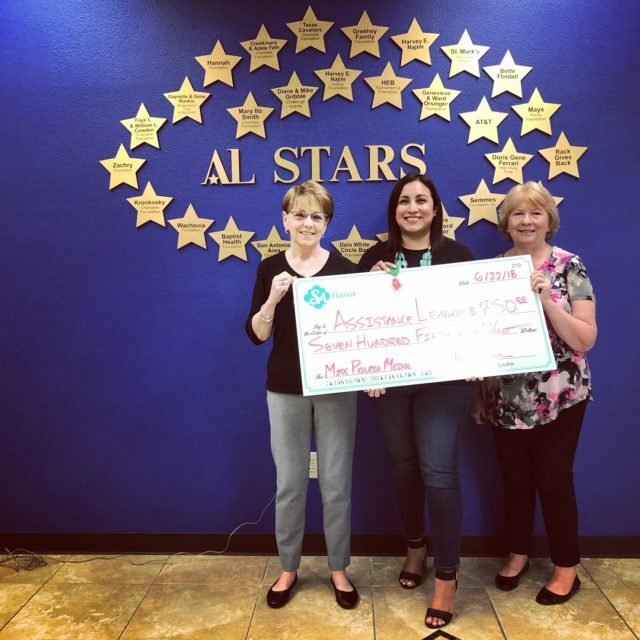 Christina Liserio, aka Miss Paleta, had personally volunteered for the Junior League’s Operational School Bell program and wanted to make sure her donation was directed there. This organization is amazing because they bring in students who can’t afford clothes and let them shop from a selection of new shirts, jeans, under garments and shoes in their Operation School Bell Shop. Christina told me that this may be the first time these students have shopped for clothes, so they are paired up with a volunteer stylist. I loved visiting this Junior League facility and was truly appreciative of the volunteers giving us a tour—it’s incredible what these women are doing in our community! Christina Liserio dropping off a check for $750 to Operation School Bell. 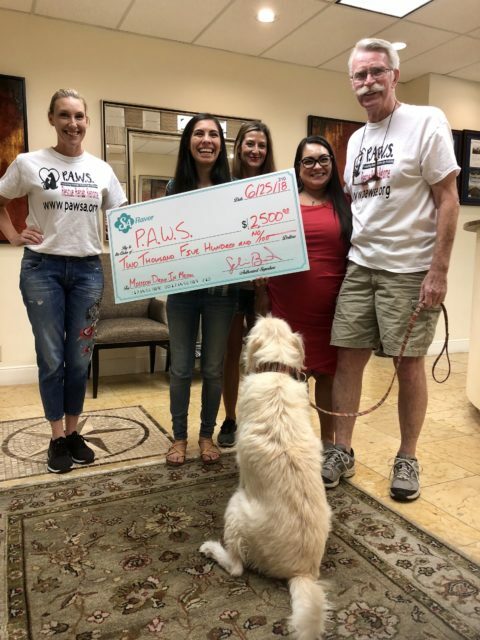 SA Flavor writer Selina Bonilla was a charter member of the PAWS—a foster based, non-profit animal rescue organization—that started at Harlandale High School. I was so proud to see Selina’s Mission Drive-In Fiesta Medal raised $2,500 for this organization that’s so near and dear to her heart! SA Flavor writer Selina Bonilla dropping off a donation her Mission Drive-In medal raised for PAWS. It was incredible for both me and the medal creators to see the whole process come full circle—from sitting down and designing the medal, to selling it during Fiesta season and then delivering that check to this organization. I feel it is so important for them to see how their idea and medal was able to do good in the community. It was such an amazing experience to actually go out and connect with these charities that we were helping to support. 2018 was a great year for SA Flavor Fiesta Medals! We struck a nerve with the Ghost Tracks medal and really had some great designs that blew me away. Out of the 21 Fiesta Medals that placed in the SA Express News Fiesta Medal competition, 5 were SA Flavor creators (and one was a business we made a medal for)! We’ve set the bar pretty high for ourselves but I’m up for the challenge! 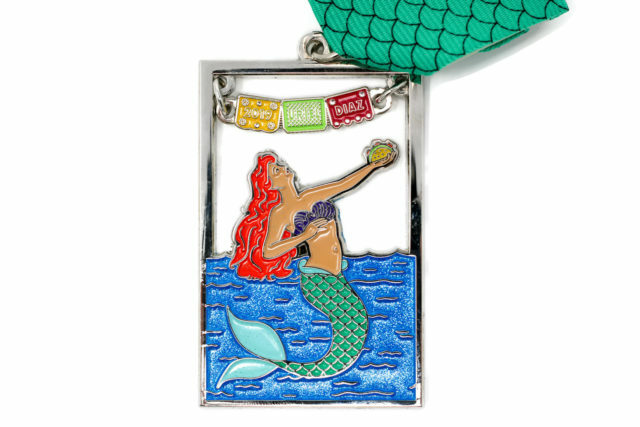 Believe it or not, we have released our first 2019 Fiesta Medal: La Sirena. I partnered with Uriel Diaz to help bring this medal to life. It pays tribute to three of the things he loves: the Little Mermaid, San Antonio food and Fiesta! The mermaid not only is holding a taco, but her “shells” are purple conchas! 50% of the proceeds from this medals sales goes to benefit the non-profit River Walk Association and Uriel’s bid to become their King! If you haven’t got one of these medals yet, you can pick it up at Karolina’s Antiques, the Fiesta Store on Broadway or online in the SA Flavor Store! La Sirena, the 2019 Fiesta Medal supporting Uriel Diaz’s run for King of the River Walk! For 2019, I’m hoping to match the money we gave back this past season and hopefully partner with more businesses. Working with businesses is another situation where everybody wins, I get to sell Fiesta Medals, the business gets a HOT medal that will bring them more customers and a non-profit wins and we get to give back to the community. Interested in learning how to create ???????????? Fiesta Medals? Check out our guide! Take Broadway Daily Bread, for example—we partnered with them to create “The King” Fiesta Medal this past year. The bakery saw a spike in foot traffic and sales and were able to donate almost $3,000 to a great organization in Earn A Bike through their medal proceeds. We also partnered with Tenko Ramen and Art of Donut to create some awesome medals and give to fantastic organizations. Next year we’re hoping to do more of the same! I love the Fiesta Medal community and all that it does. I’ve made so many friends and gotten to meet tons of amazing people from the different events—giving back to the community is another huge plus!!! If you’re a business looking to create a ???????????? Fiesta Medal and are looking for some help, get in touch! 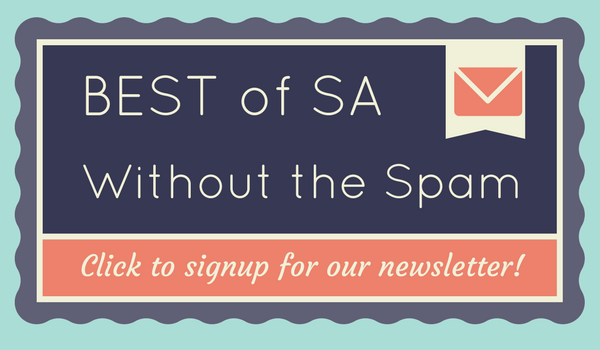 Email me at fiesta@saflavor.com to get started. We’re already working with some awesome creators this year and we’re going to be giving back to some fantastic organizations! VIVA!